But this result isn’t just an astonishing refuge of calm in a stormy galaxy. It also provides us insight into just what role black holes play in how galaxies do—or don’t—form. That means that nearby black holes play a big role in the eventual size of a galaxy. “What it shows is that black holes very effectively control the growth rate of galaxies,” said McNamara. Of course, the finding underscores how little we still know about the role of black holes in galaxy formation. It also gives us a tantalizing look at how much promise the satellite held before it was lost. 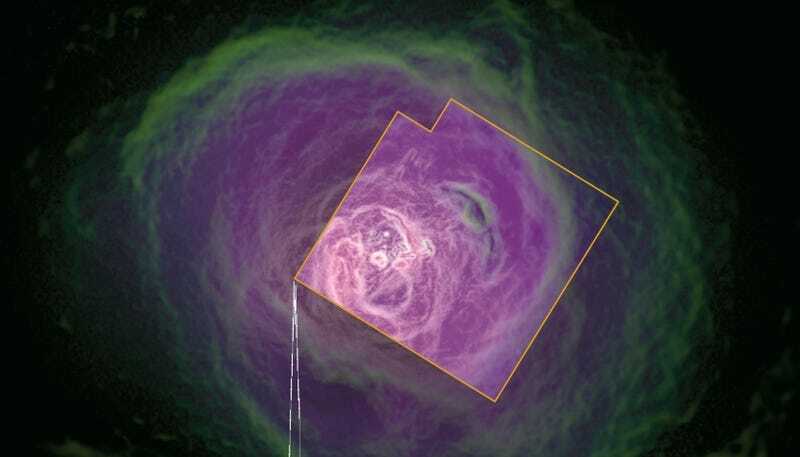 The loss is even bigger because Hitomi marked what researchers hoped would be the end of a long-standing struggle to finally stick an x-ray microcalorimeter—a device used to take incredibly precise measurements of the energy in x-rays—into space. The findings in today’s study were based on just a very small sample of data researchers were able to get from Hitomi’s microcalorimeter before it was lost, and it already has them speculating over what could have been. 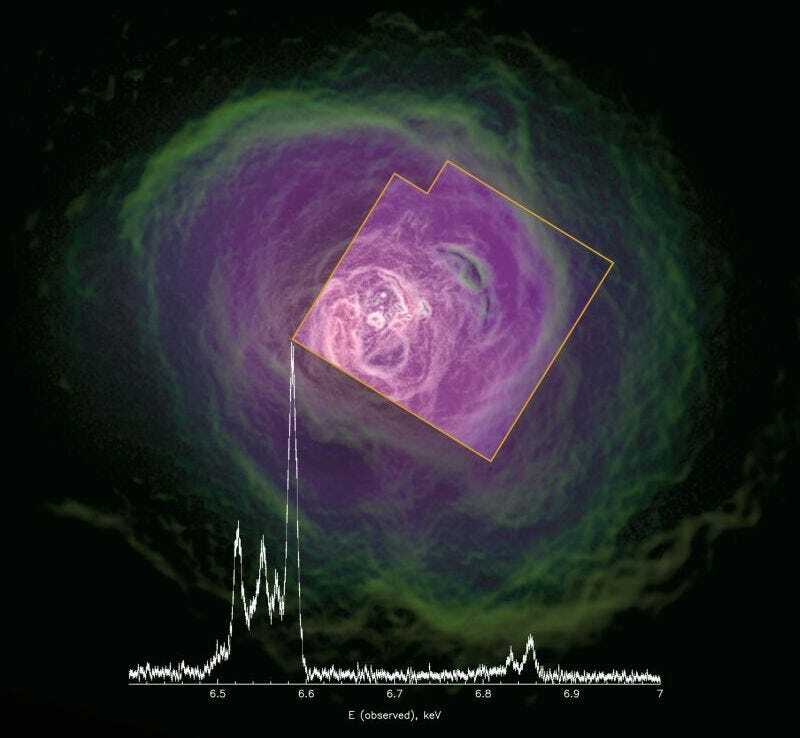 “The measurements on the Perseus Cluster showed the potential of the Hitomi x-ray microcalorimeter to transform our understanding of the velocities of hot gas throughout the Universe,” Fabian said. Before Hitomi, there were two other attempts to send a microcalorimeter into space—and both ended in strange accidents. In 2000, a rocket mission that would have sent the first microcalorimeter into space exploded upon launch. In 2005, a microcalorimeter actually made it into space, but was destroyed by a coolant leak. It wasn’t until 2016 with Hitomi that a microcalorimeter was successfully launched long enough to take take measurements—only to be lost along with the entire satellite shortly after.